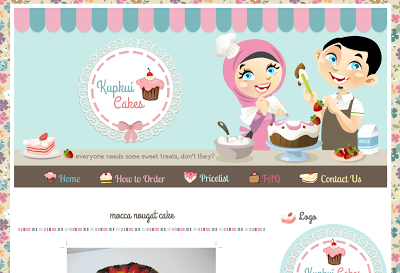 Kupkui Cakes is cake and cookies blog. 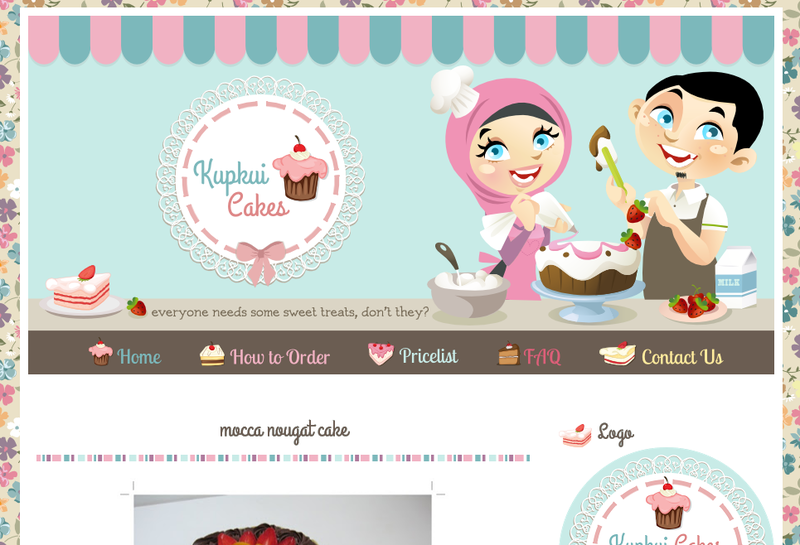 The owner want to redesign her blog with something cute and fancy. Header banner represent the owner family, woman and her husband. What a lovely family. Cute floral pattern, custom graphics menu, and blog banner complete this cute blog. Wanna make your own custom design? Contact me via email. may i know..name font that u used for the tittle home,pricelist,..etc..?